If you or a loved one has been injured in a dog attack, you are most likely overwhelmed with financial concerns, physical pain and suffering, and emotional trauma. As a board certified civil trial lawyer, with extensive experience in handling dog attacks, I can help you gain control and develop a plan for your future. Each dog attack is unique and so are the possibilities for obtaining compensation. During the initial consultation, I will discuss the details of your case and provide you with a thorough understanding of your legal rights. You will understand your strategic options and feel more relaxed about what to do next. I work with each victim and their family to develop a comprehensive plan that will not only meet the challenges of today, but also the needs of tomorrow. DISFIGUREMENT, MENTAL ANGUISH, LOSS OF CAPACITY FOR ENJOYMENT OF LIFE, DISABILITY, PHYSICAL IMPAIRMENT, PAIN & SUFFERING: This is compensation for the human damages suffered as a result of being in a dog attack. Recovery can be sought for both the damage sustained in the past and the expected future harm for the rest of your life. SPOUSE & FAMILIES LOSS:This is compensation for the injured partner’s spouse and close family members when the dog attack injury is so severe that it interferes with the familial realtionships, requring members to perform services that would not otherwise be required. Sadly, many insurance companies fail to recognize cosmetic procedures as a necessary surgery for a accident victim to recover emotionally. Additionally, insurance companies often under estimate future financial burdens. For this reason, it is critical that you hire an experienced “dog attack” attorney with a successful track record for working with insurance companies and overcoming such obstacles. 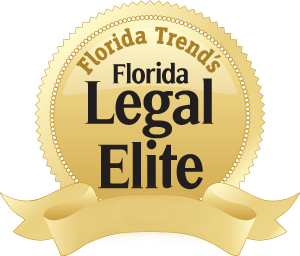 If you are looking for a legal expert, who is passionate about helping dog attack victims and their families rebuild their life, please call me, Tony Sos, at 407-244-3000.